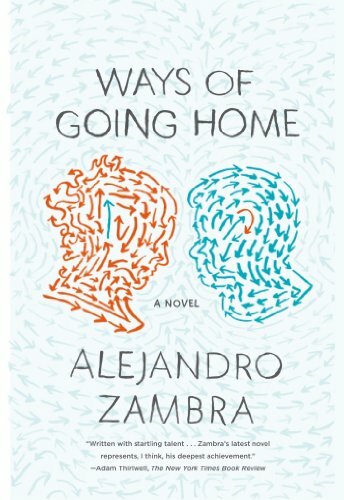 “Alejandro Zambra's Ways of Going Home begins with an earthquake, seen through the eyes of an unnamed nine-year-old boy who lives in an undistinguished middleclass housing development in a suburb of Santiago, Chile. When the neighbors camp out overnight, the protagonist gets his first glimpse of Claudia, an older girl who asks him to spy on her uncle Raúl. In the second section, the protagonist is the writer of the story begun in the first section. His father is a man of few words who claims to be apolitical but who quietly sympathized—to what degree, the author isn't sure—with the Pinochet regime. His reflections on the progress of the novel and on his own life—which is strikingly similar to the life of his novel's protagonist—expose the raw suture of fiction and reality.